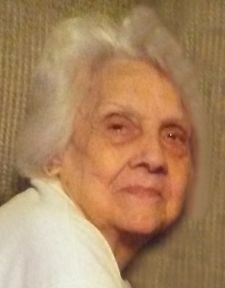 Shirley Ann Hutson Compton, age 82, of 11333 Hwy 87 South, passed away early Saturday morning, January 26, 2019. A graveside service will be held at 2:00 pm on Tuesday, January 29, 2019 at Ridgeview Memorial Gardens. The family will receive friends Monday evening from 5 – 7 pm at Fair Funeral Home and other times at the home of Cathy Hodges, 11333 Hwy 87 South, Eden, NC. Mrs. Compton was born in the Draper section of Eden on February 11, 1936 to the late Henry Hutson and Gracie Chilton Hutson. Shirley worked as a machine operator for Nova Yarn. She was of the Baptist Faith. Shirley had a beautiful spirit that surrounded her and showed kindness to everyone she met. She will be greatly missed by all that knew her. Shirley is survived by her two sisters, Ossie McGee of San Diego, CA and Linda Marion of Eden; grandson, Todd Compton and wife, Brisha of Stokesdale; granddaughter, Andrea Broadnax and husband, Marlon of Greensboro; five great-grandchildren, Lucas Compton, Phoenix Broadnax, Alyx Broadnax, Pierce Broadnax, and Mason Broadnax; special niece, Cheryl McDaniel Southall; special family friend, Cathy Hodges; several nieces, nephews and extended family and canine companion, Ringo. Along with her parents she is preceded in death by her beloved husband, Ted William Compton; her sons, Dennis McDaniel and Teddy Ray Compton; five brothers and two sisters.